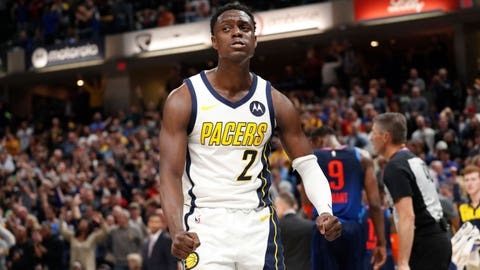 Darren Collison will sit out against the Clippers for the first time this season. LOS ANGELES — Darren Collision will miss his first game of the season for the Indiana Pacers because of a right quad contusion. The guard had started all 71 games until sitting out Tuesday night against the Clippers in Los Angeles. Cory Joseph was to start in his place. Pacers coach Nate McMillan says Collison got hurt Monday night in a 106-98 loss at Portland. He thinks the injury occurred on a drive to the basket, when he got kneed. Collison complained of soreness and didn’t feel that he could play in the second game of the back-to-back. The 10-year veteran out of UCLA is averaging 11.3 points and 6.0 assists.